Comic Arts Los Angeles (CALA), a new comic arts festival in Los Angeles, took place this last Saturday, December 6, in a walk-up art gallery, Think Tank Gallery. This is the first major comic arts festival of its kind in the second largest city in the United States, taking its place alongside such notable comic arts festivals as MoCCA Comic Arts Festival in New York City, Small Press Expo in Bethesda, Maryland, and Short Run in Seattle, Washington. 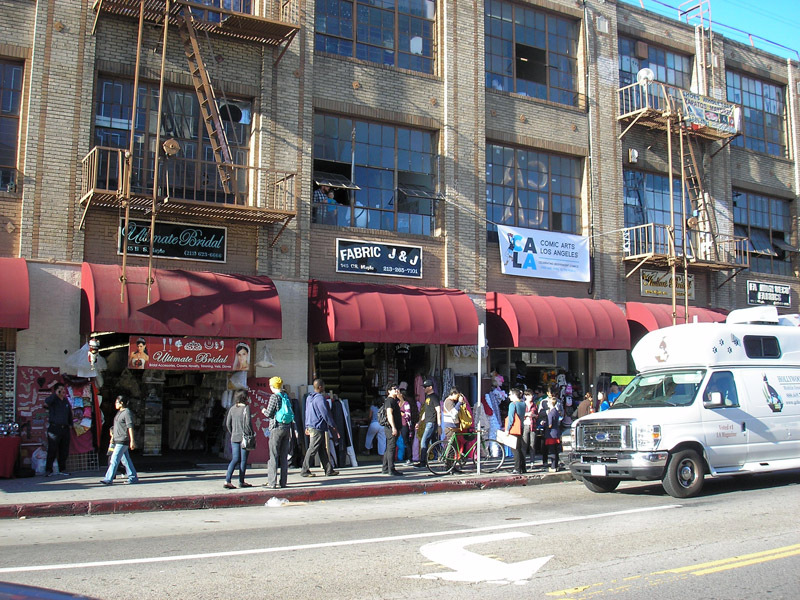 Located in a part of the city tucked near Gallery Row and the Arts District, the actual site is amid a dazzling display of predominantly Mexican businesses, both storefront and street vendors. One banner atop the entrance and staff for the event lead you in. And so you climb the stairs and you are instantly transported to a world of indie comics. As Jen Wang, one of the founders of CALA, said in a panel discussion at the event, “When it comes to breaking into comics, you just make them and you’ve broken in.” In that spirit, you come to this event which is a mix of creators relatively new to breaking into comics along with many seasoned indie veterans attached to various publishers. When it come to breaking into comics, while it may seem simple enough, there are a myriad of approaches, motivations, and sensibilities. I can tell you from my vantage point, as someone who has broken in, that there is and there is not a typical cartoonist profile. Referring back to this panel from the show, the last panel of the day in fact, Wang led a discussion on how to sustain a life in comics. Among the comments made, Ron Regé Jr. spoke to the fact that he never ever expected to make a dime off of his comics. And that pretty much says it all in one fell swoop because there are always cartoonists ready to make money from their work right along with others who don’t focus on demographics and the like. A comic arts festival like CALA focuses on the more unusual and offbeat type of comics that are more prone to taking risks with the market. You will see table after table of minicomics and professionally bound books on a multitude of subjects and themes. There are no superhero comics, per se. In this context, a superhero theme is possible but most likely in a ironic tone. The overriding theme is personal and artistic. Of course, major publishers of comic books are hip to what the alternative comics crowd are up to and will collaborate with them from time to time. For some years now, major publishers have been publishing the best that emerges from self-published cartoonists. So, in a sense, the indie cartoonists are akin to stand-up comedians who may get picked up by a network. However, it’s complicated. Some cartoonists try to capitalize on trends, others follow their own muse. Ultimately, it’s quality work that wins out and transcends all these issues. 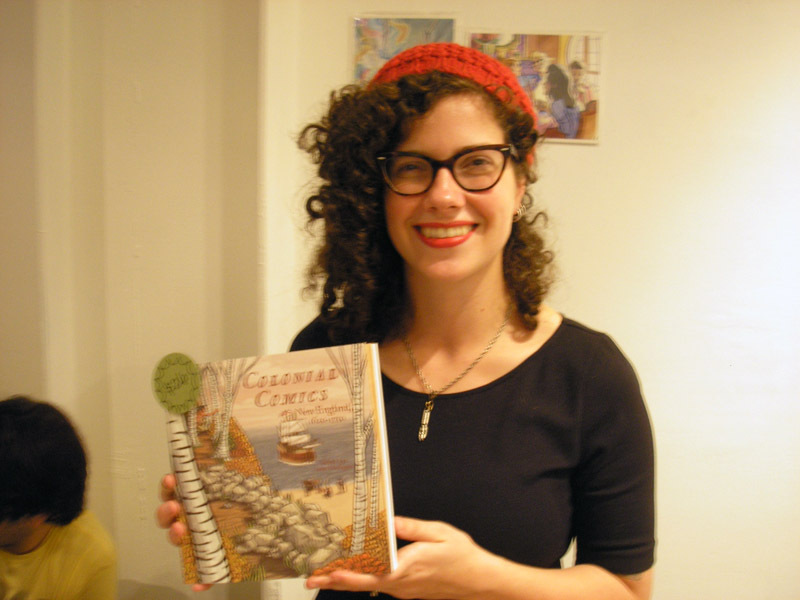 I was speaking with cartoonist Ellen T. Crenshaw who is a fitting example of a professional cartoonist/illustrator with an independent sensibility. Take a look at her work and you see an engaging style. She was pleased to see a great turn-out for CALA. In her experience with the Boston comics scene, it can be very rough for the first year of a comic arts festival. But CALA came out strong right out of the gate. Taking a closer look at Crenshaw’s work, it’s a successful combination of a clean and polished approach married to offbeat content. I picked up a hilarious and sweet minicomic of hers, “The Woodsman and the Bear,” that follows a bear who has fallen in love with a lumberjack. That will give you some indication of her vision. For something more challenging, there’s “Colonial Comics: New England, 1620-1750,” published by Fulcrum Publishing, that provides stories about Colonial America that you won’t find in the history books. You could sense the energy in the crowds. I spoke with a number of friends in the comics community and everyone was all smiles. It’s just a matter of diving in and checking out various tables. Each creator is there in support of their most recent work along with their other titles. 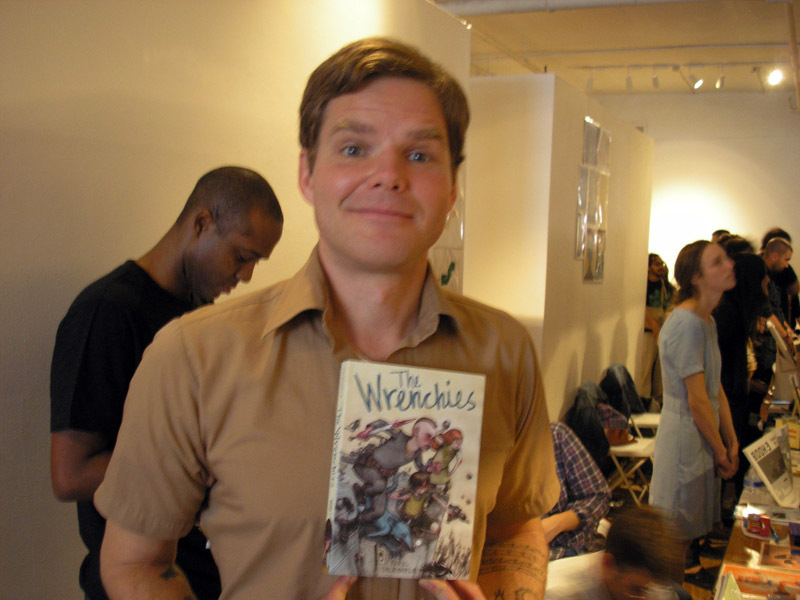 For instance, there was Farel Dalrymple in support of his graphic novel, “The Wrenchies,” published by First Second Books. 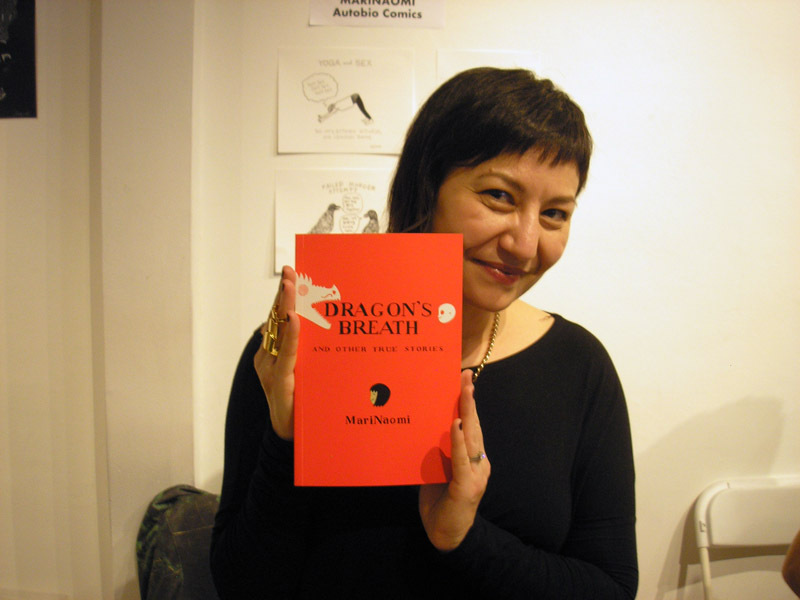 MariNaomi was there in support of “Dragon’s Breath and Other True Stories,” published jointly by 2D Cloud and Uncivilized Books. Another favorite is certainly Yumi Sakugawa and she was there in support of “Your Illustrated Guide To Becoming One With The Universe,” published by Adams Media and “Bird Girl and Fox Girl,” published by Sparkplug Books. 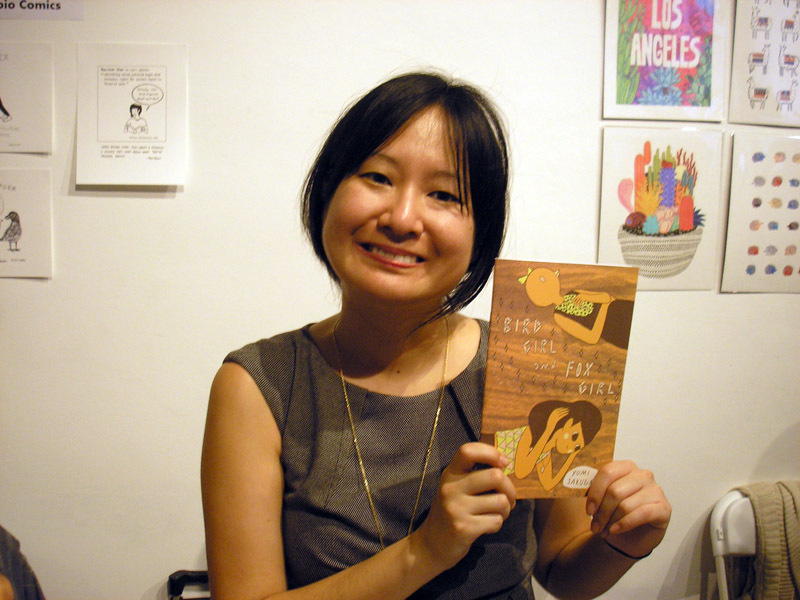 Rounding out my coverage of CALA, I spoke with Jen Wang, one of the organizers and the illustrator of one of my favorite recent graphic novels, “In Real Life,” published by First Second Books. She was definitely excited about how well CALA was doing. And, just to top it all off, I spoke with cartoonist and renowned comics historian Scott McCloud and got his take on the event. He was quite pleased to say the least. Think Tank Gallery proved to be a great venue for CALA. 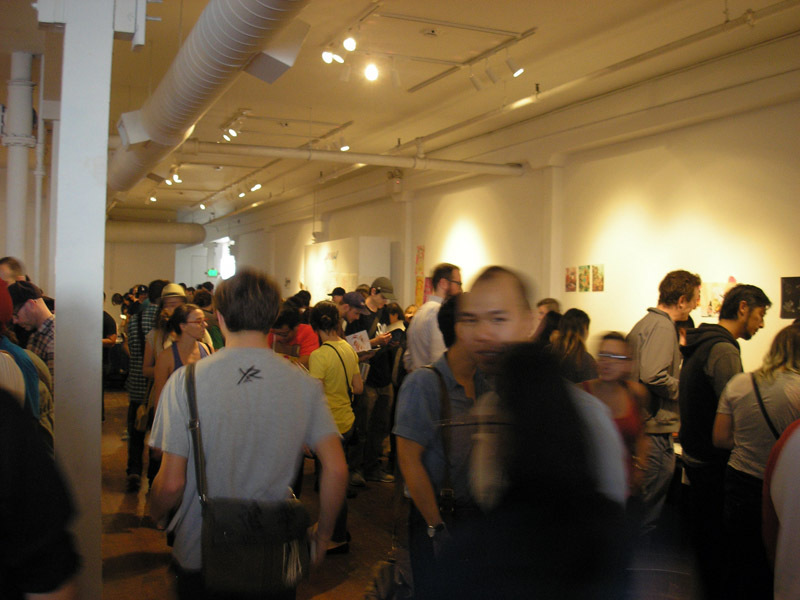 With about 70 creators, the space afforded enough room to mix and mingle. Around the corner, there were panel discussions throughout the event. In the end, the reader, the potential buyer of said comix, indie comics, alternative comics, had much to choose from in a delightful setting. 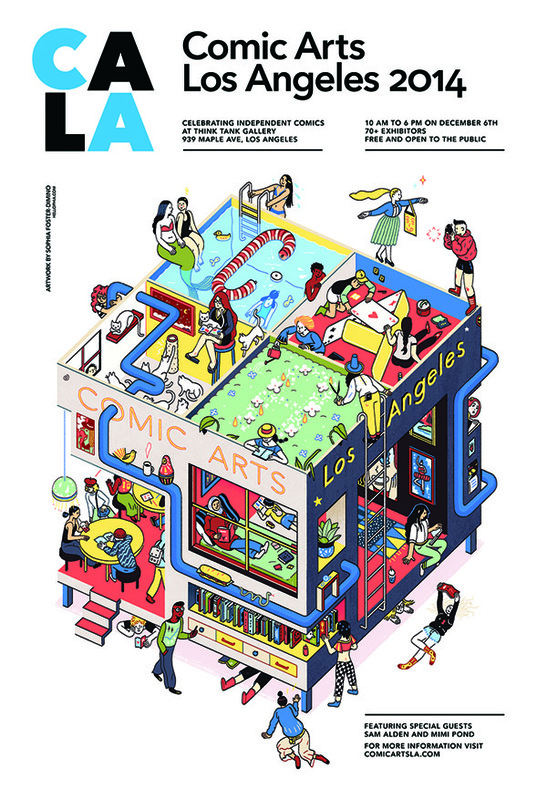 We all look forward to this being the start of a new comics tradition in LA. Looked like a packed house. I am sure that you would have loved it. Thanks to Comic Book Resources for the shout out!